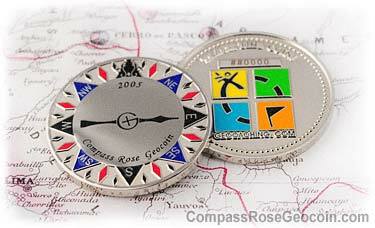 Developed in the fall of 2005, this coin started the Compass Rose Geocoin series. 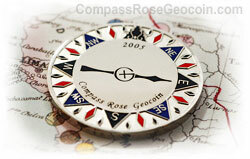 It was derived from the compass card used in actual ships' compasses during the 1800s. 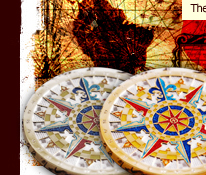 The red, blue, and black colors are the colors used on earlier versions of this compass rose design. 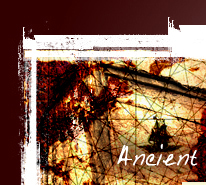 Those colors could be seen better in low light conditions than other colors, especially when using oil lamps and candles. 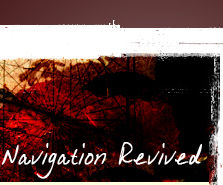 The blank areas above and below the needle were made available for custom etching. 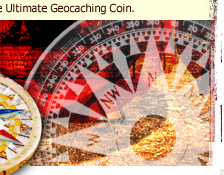 In the initial batch, geocachers could submit the text they wanted to have etched on the coin such as team names and user names. The backside consists of a standard Geocaching.com logo and a tracking number.